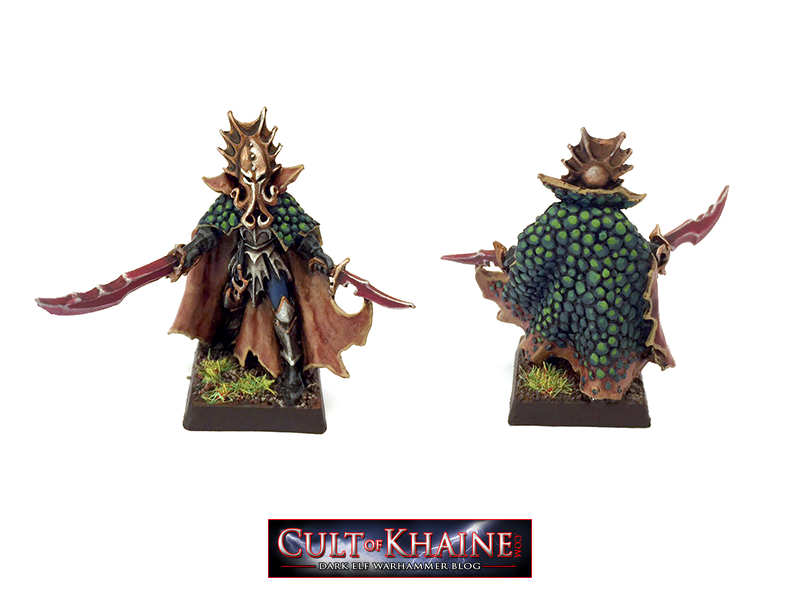 This blog is dedicated to my Dark Elf Warhammer army - The Cult of Khaine. I have been collecting and painting models for the past couple of years in particular the games workshop warhammer dark elves. These are my favourite minatures out of their range and over the time I have amassed a rather large army. I thought it would be a good idea to blog my development of the army as It evolves to keep a record of my ideas and to showcase the models when I finish them. I will be posting various images, comments and links as I go and would love to hear any comments you have. And a hero for good measure. I have seen your Temple of blood and I have no idea how you did the blood pool effect. Could be possible an explanation? I'm working on a big diorama (http://www.coolminiornot.com/forums/showthread.php?57787-Aniku-s-WIPs/page12) and could be great if I can achieve a similar effect. I used Games Workshop Citadel Water Effects. Just pour it onto the area and let it sit for 24hrs then it cures and goes hard. Make sure to build it up in thin layers about 3mm at a time to get the required depth – rather than one big pour. I had a couple of layers than mixed in red ink then added a couple more layer to give it the blood look.